In our inaugural print issue of Ernest we told the sad tale of the great auk, hunted to extinction on a tiny island off the Icelandic coast. 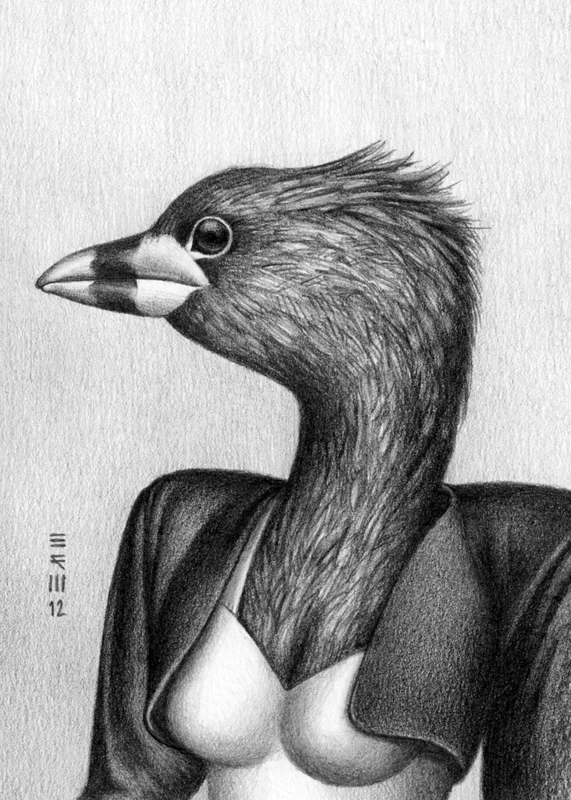 When we came across Brian R Williams beautiful portrait of an auk dressed in the fashion of the year the species was wiped out, we knew we'd found the perfect image to illustrate its demise. "My Extinct Birds drawings, which feature bird species that have gone extinct as a result of direct human interference, are inspired by the times in our history when our progression, such as during the age of colonial expansion, resulted in the destruction of the natural world. 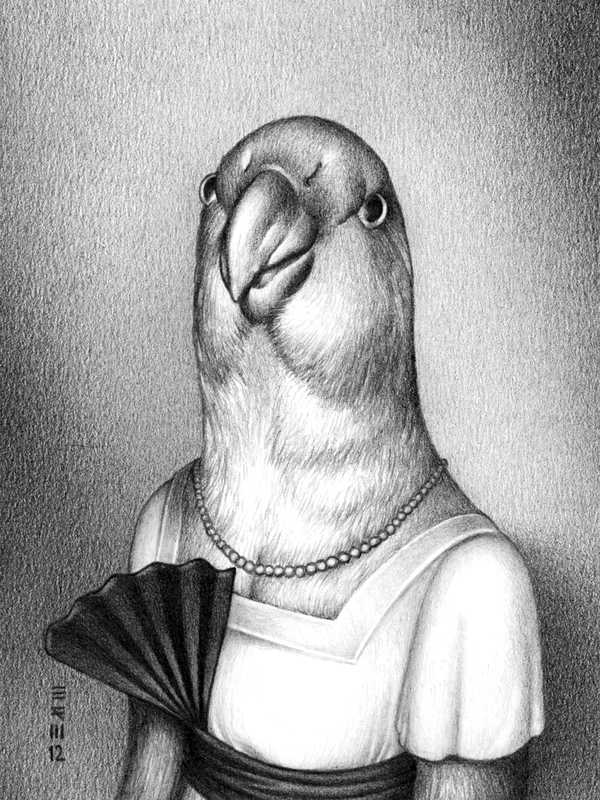 I depicted each bird dressed in clothing that was fashionable during the year that they went extinct as a way of visually connecting the animal's history with our own. To me, these birds represent exotic and strange worlds that were lost practically the moment they were discovered. Their names are particularly alluring to me: “Choiseul Pigeon,” “Hawaii ‘O’o,” “Atitlán Grebe,” etc. Each drawing is graphite pencil on Bristol board, at various sizes. 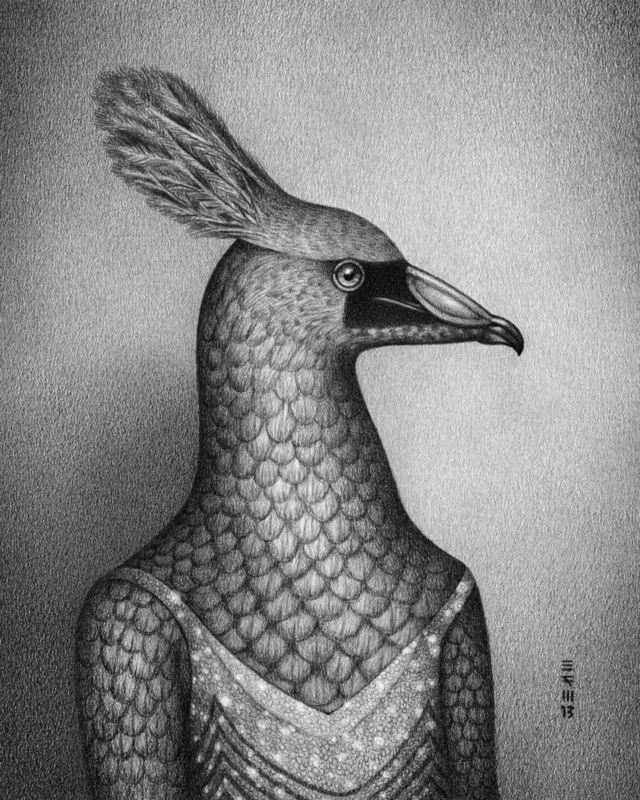 I researched the clothing that was fashionable at the time of their extinctions and used reference photos for both the birds and the clothing." Brian R Williams is an artist and graphic designer who lives in Columbus, Ohio. His artwork has been featured on ARTnews and Audubon as well as on the cover of Map Magazine, an art and culture magazine in Brisbane, Australia. He enjoys tales of Sasquatches and other mythical creatures.